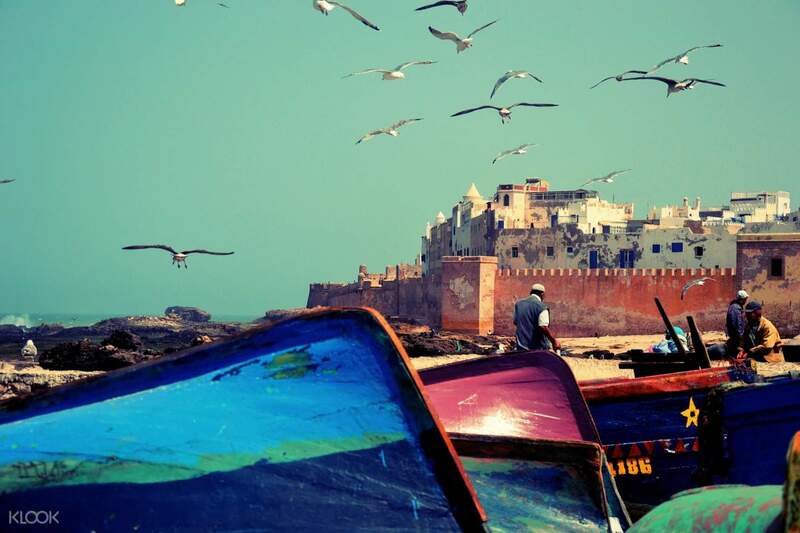 Visit Essaouira, a lovely coastal locale known for its rolling winds coming in from the ocean swells. 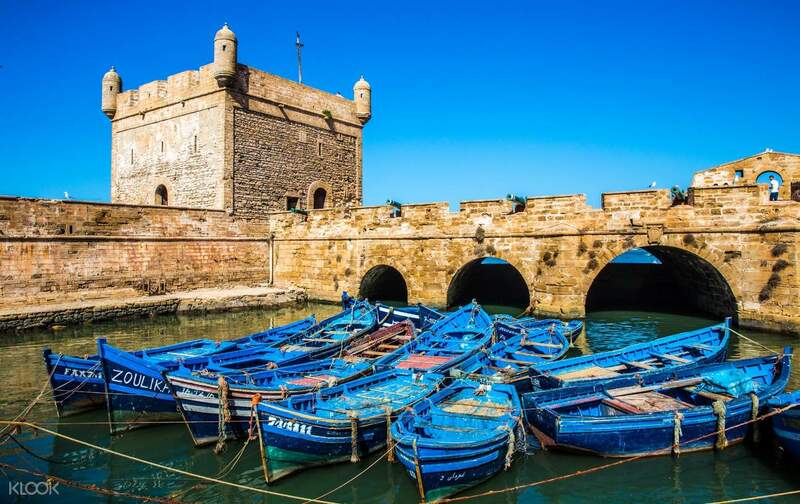 Once picked up from your hotel, you will make a three hour drive to the city itself, the first stop being at the Medina of Essaouira, which is a UNESCO World Heritage Site. 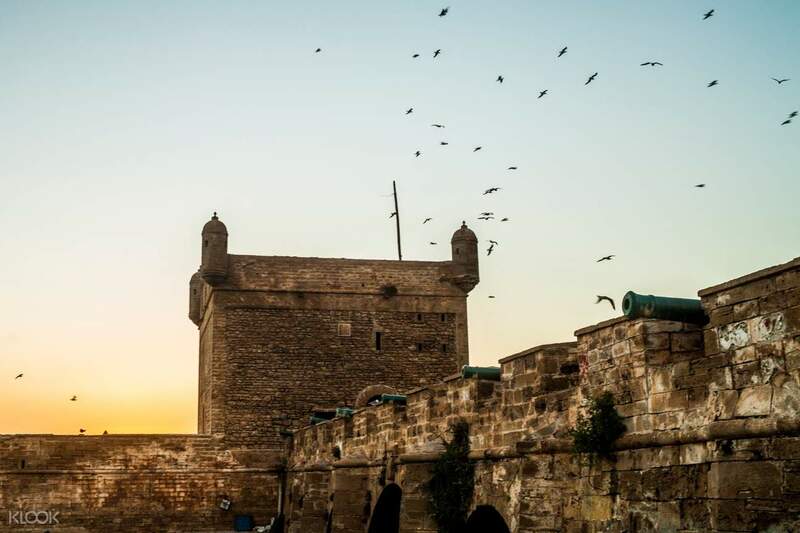 It's an 18th century fortified town, made special by its evident harmony of Arabo-Muslim architecture. Following this, you can enjoy lunch at a local restaurant (at your own expense), and then it will be time to see the beaches that the city is so famous for. A long promenade is along the shore and you can walk down its path, admiring the scenic views. Relax on the sands or enjoy a camel ride (at your own expense), before you begin the way back to Marrakech. You can opt to visit the Argan Oil Women Cooperative on the way back, learning about how this much-prized oil is produced right in Morocco. Your tour concludes as you admire the wonderful countryside views before arriving back at your hotel.